Every year, Mainor Wirth teams up with Superheroes 4 Sully to donate bikes to KLUC’s Toy Drive. 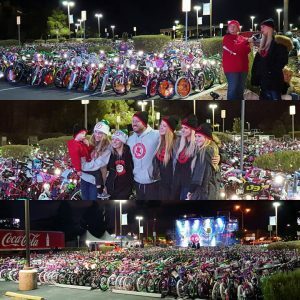 Up from 60 bikes last year, the Mainors and some truly wonderful members of our Las Vegas community pushed it to over 100 this season. Superheroes 4 Sully is a charity that the Mainors started in honor of their son who passed away, Sully Mainor. This charity donates new superhero themed clothing, toys, and other necessities to the foster children of Nevada. Each month they team up with the community to give back and end their year with the KLUC Toy Drive. Mainor Wirth Injury Lawyers are proud supporters of Superheroes 4 Sully and KLUC’s Annual Toy Drive.